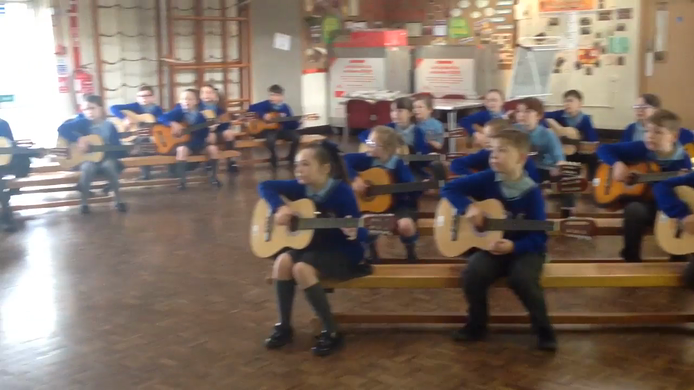 Year 4s instrument this year is the flute. 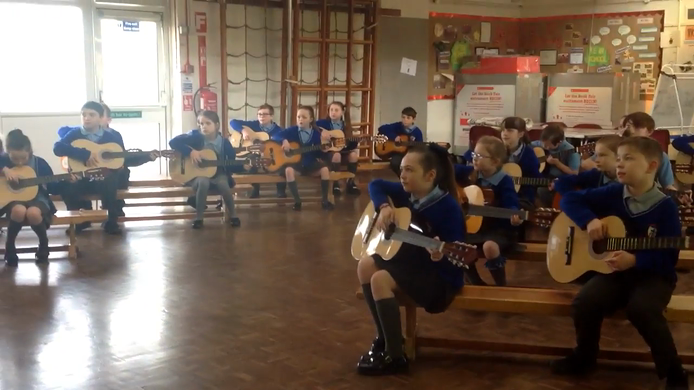 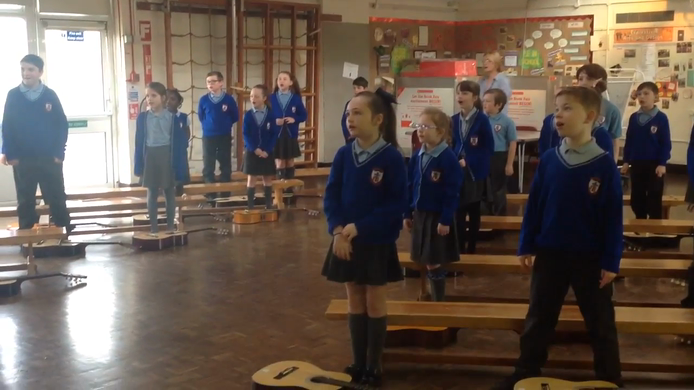 In year 4, the children have weekly guitar lessons. 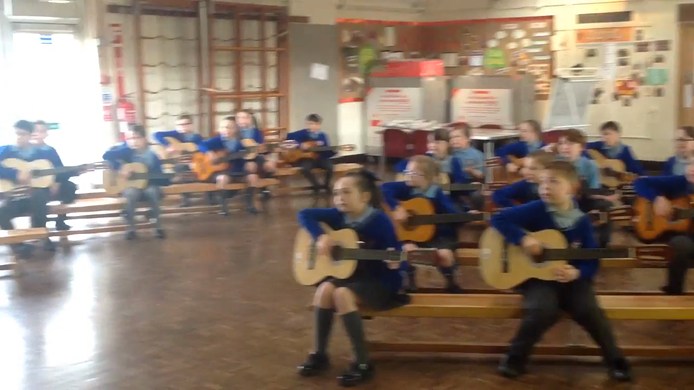 All children are able to take a guitar home for the whole year and login to their individual programmes to practice.